So there was Manchester United’s star kicker Anderson last weekend, pulling up a 10-year-old memory of his first goal with the squad by celebrating to the strains of Gal Costa’s ‘Aquarela do Brasil’ with 22,000 fans cheering him on. Milestone moments with Gal Costa. Days later, it was announced that Gal Costa has added extra shows in Lisbon, due to popular demand. Back home, she has a series of sold-out concerts with Gilberto Gil and Nando Reis to round out the rest of 2017. In fact, it’s her busiest year of touring in the past half-decade. And it’s somewhat surprising that Caetano Veloso isn’t part of the stage bill, if only because Gal’s first album was recorded and released with him in 1967. One of the first steps taken as part of her 50th year as Brazil’s musical diva. Reaching life’s important moments pulls on the threads of memories, and as I write this week’s column, I’m reminded of one of my own. It was 25 years ago: late March 1992 and I was driving back home from a pivotal meeting with the Program Director at WDCB FM: my idea for The Sounds of Brazil radio show had been accepted, a start date had been agreed upon and I was already looking ahead. Back then, Gal Costa was already solidly entrenched as a superstar in Brasil. But that was 1992 BTI (Before The Internet) and she was just beginning to become known here in the USA. Born in Bahia, Costa burst onto the scene in 1967 with the ‘moth-to-a-flame’ flicker that was Tropicália, eschewing the easy advances of Bossa Nova for an obstinate blend of electric guitars, civil protest, and an anti-everything-but-us attitude. Back then, she was known as ‘Brazil’s Janis Joplin’. A few short years later, Costa reinvented herself to become a mainstream pop star. Gal Costa became internationally synonymous with ‘Brazil’: the living, musical image of her country, occupying a space that following generations of iconic singers including Marisa Monte, Ivete Sangalo and Anitta could only hope to equal, but never surpass. So even now as her career reaches a golden apogee the accomplishments of time endure. Years ago, I met Gal Costa in a Rio de Janeiro studio during the recoding of ‘Plural’, the crossover album that helped to make her name in America. I was still new to the Brazilian music scene – only my third year, and my second trip back – and it was a rare treat to be led to the producer’s chair to listen to that first playback of ‘Begin The Beguine’. As we listened, Gal stood next to me, with her hand on my shoulder. If you’ve ever wondered what drives my passion for The Sounds of Brazil, its moments like this. My recommendation? Enjoy The Sounds of Brazil on the radio and our streaming station and affiliates whenever you want to. 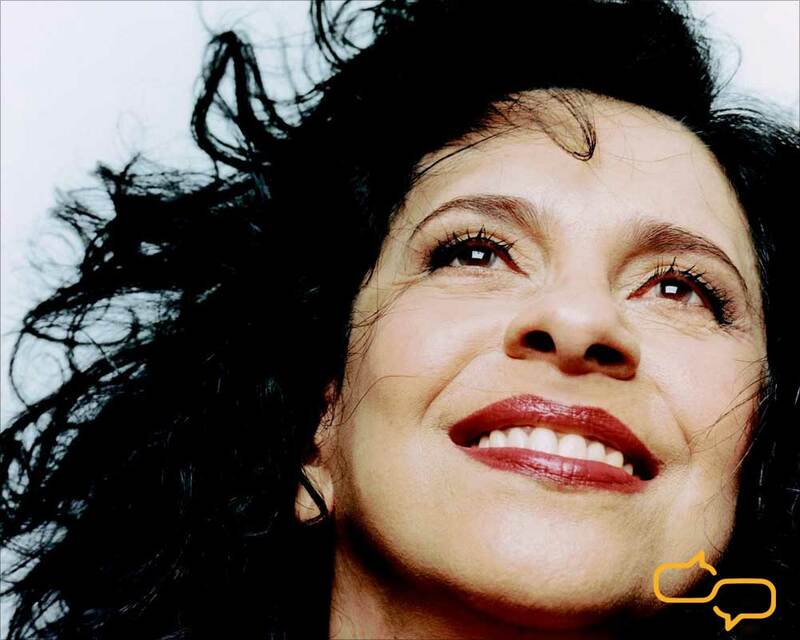 But also try to find time to settle in with Gal Costa to enjoy her concert video introduction for American fans: the ‘Rio Revisited’ concert in Los Angeles with Antonio Carlos Jobim’s New Band in 1988. You’ll see her flash that wide Bahian smile and her voice will do the rest. If you’re like me, it’ll be a memory that will last a lifetime. Something to add to your milestone moments with Gal Costa.